Gone are the days where choosing a smartphone was a lot easier considering factors like the number of mobiles launched per year, OEM’s and of course, the price point. Fast forwarding to 2019, the mobile phone has grown by leaps and bounds, evolving from the basic devices to the multifunctional smartphones. As the name insinuates, a smartphone is more than a mobile phone right now providing additional and essential features. While we used to shell out a lot of money for a feature-rich smartphone, it’s just not the case right now. 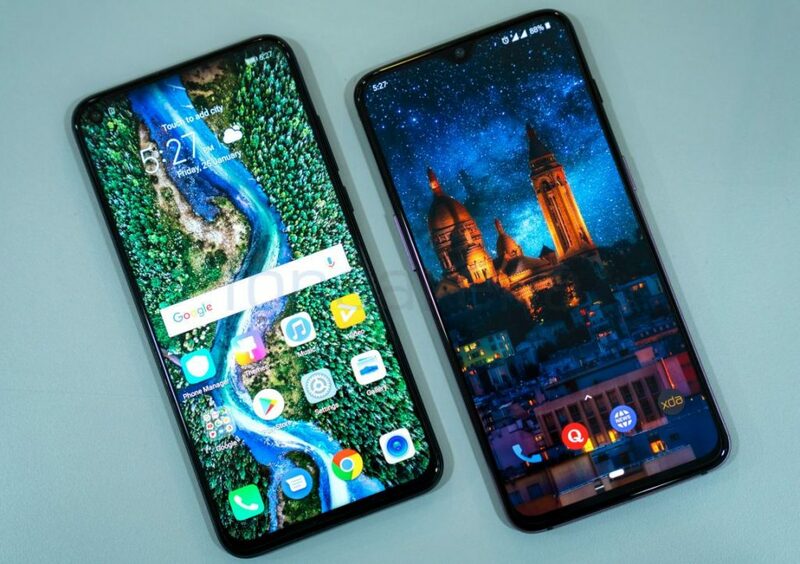 The best part is smartphone makers like Honor, the subsidiary of Huawei, and other OEM’s has started offering amazing, feature-rich devices, in line with the latest trend at half a price of what we used to pay back then. Punch-hole / All-View display is the new Notch! 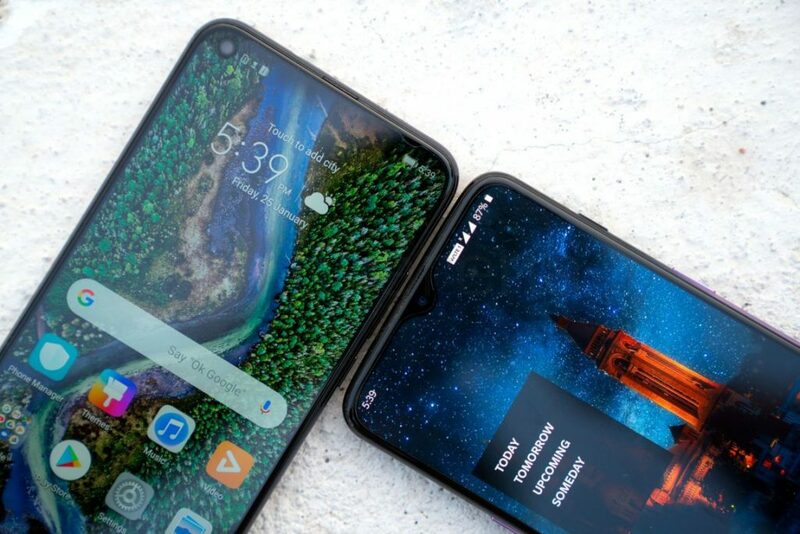 One such device is the Honor View 20, the most recent outing from Honor’s stable. Placed at mid-range flagship segment, View 20 is one of the first smartphones to possess a laser drilled hole for the front camera to provide a more screen-to-body ratio. Another fascinating part is its 48MP rear camera with Sony IMX586 that uses 4-in-1 light fusion that outputs better low-light images at a 12MP resolution and 4-times improved HDR support. 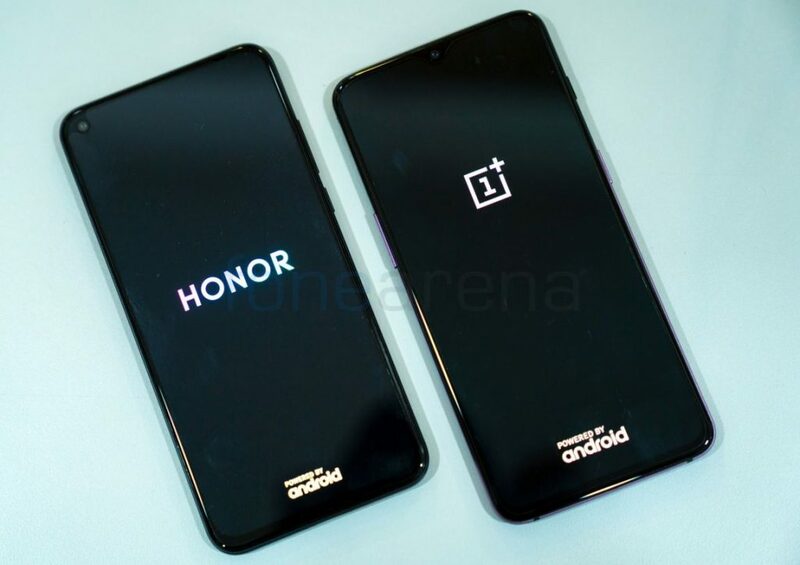 Does Honor dethrone OnePlus in mid-range flagship segment? 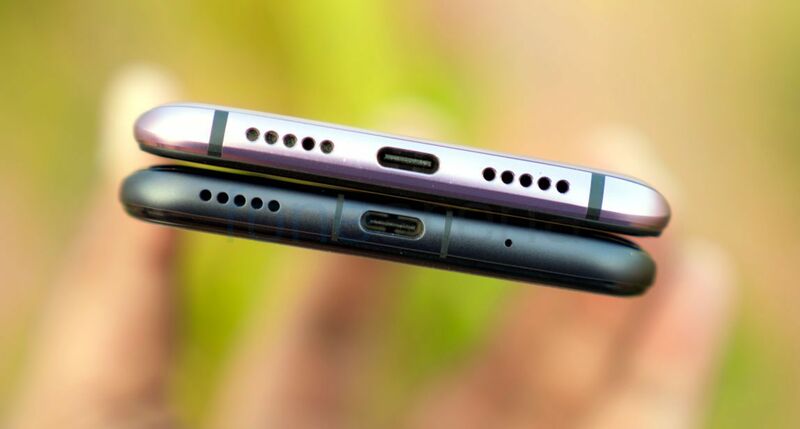 Having said that, we’ve made many comparisons in the past, but pitting Honor View20 against the OnePlus 6T looks like a legendary showdown. 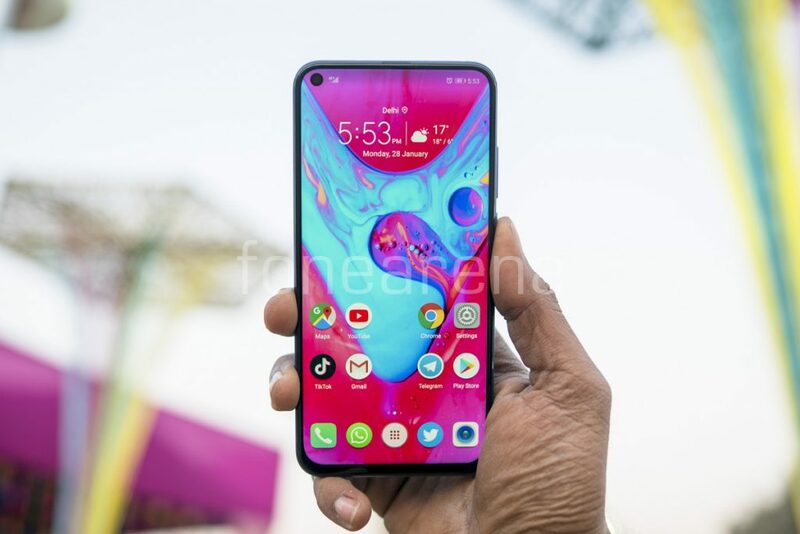 The reason being is, Honor View20 has been positioned ideally to seize the reins from OnePlus, which they had for a long time. 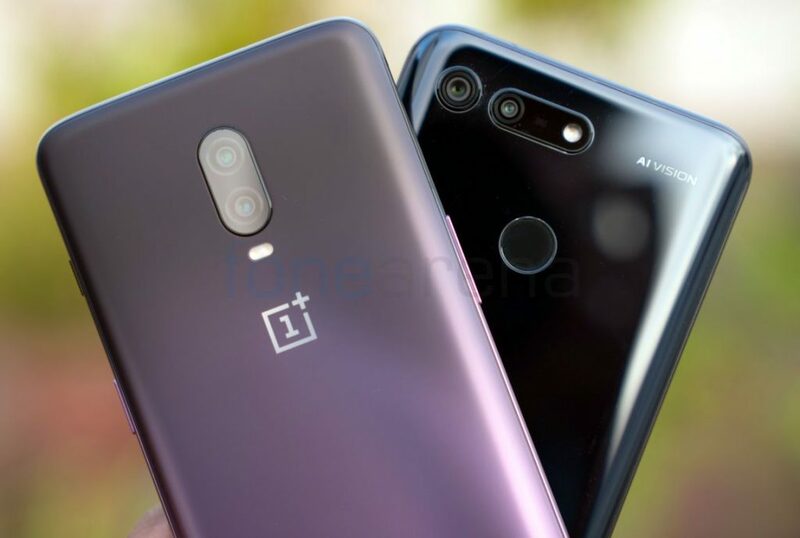 A couple of years back, OnePlus has been the go-to brand for mid-range flagship smartphones, but over time, the price of the successive handsets stealthily increased to the point where they are no more a budget flagship killer. To clear all your doubts, we have compared Honor View20 with OnePlus 6T and the result is… Do read it to know more. 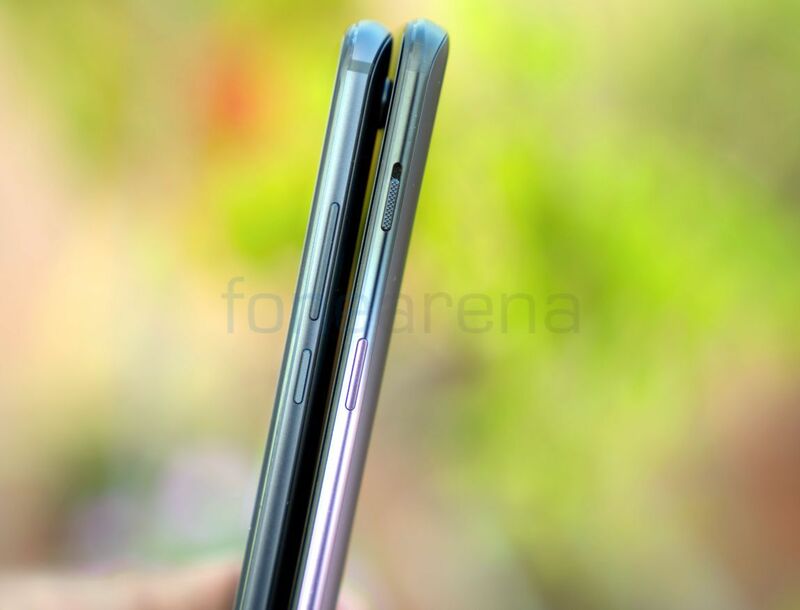 First off, both the smartphones boast a bezeless design and glass body but its the View20, which is more 2019’ish. For the starters, Honor View20 carries a lot of worlds first, but soon to be common-2019 features. This phone features a V-shaped texture on the glass back using nanolithography technology to develop an invisible nanotexture on the body. The fourth generation of nano-vacuum coating and invisible aurora texture process create a vivid and dynamic V-shape colour gradient with gleaming effect. The View20 measures an 8.1mm in thickness and weighs around 180 grams. 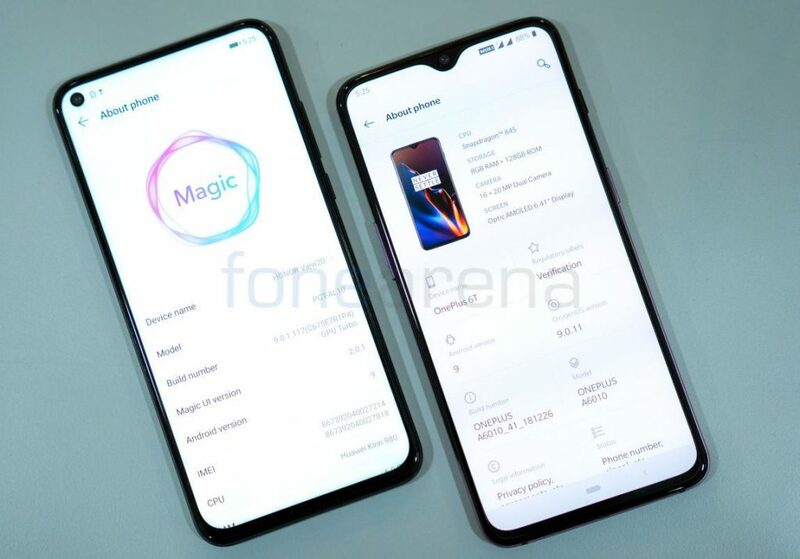 OnePlus 6T contains a glass back and comes with Corning Gorilla Glass 6 protection. It has a subtle curvature that produces patterns and highlights when the light hits the back. The jagged texture was etched onto the film to produce a subtle S-shaped line when the phone is reflected in the light. This device measures 8.2mm in thickness and weighs around 185 grams. 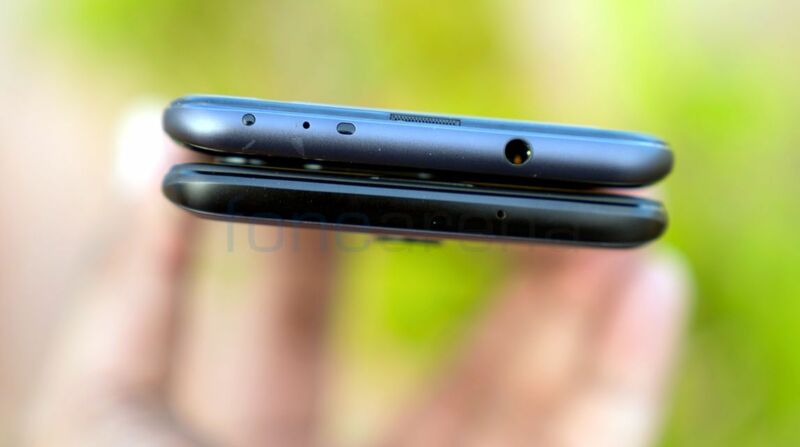 Both the devices feature metal frame buttons and SIM slots on the sides and the USB Type-C Port and the speaker grills on the bottom, however the Honor View20 retains the 3.5mm audio from the View10, while the OnePlus 6T has dropped it. It even has an IR blaster on the top. 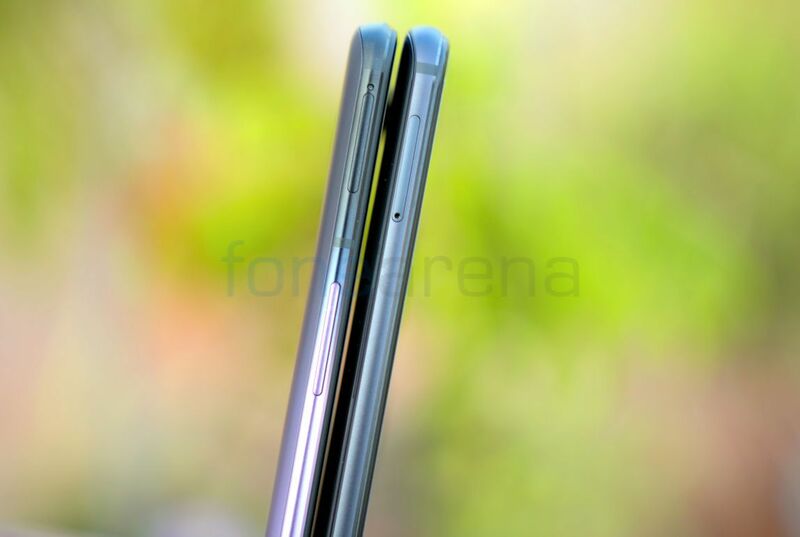 Both the phones have dual SIM slots with support for Dual 4G VoLTE. Without any second thought, both the devices look beautiful, but the View20 with punch hole display with high screen-to-body ratio looks more relevant than OnePlus 6T with a Waterdrop notch. The Honor View20 comes equipped with a huge 48-megapixel rear camera with Sony IMX586 sensor which uses 4-in-1 light fusion that outputs better low-light images at a 12MP resolution and 4-times improved HDR support. It also has AI scene detection to recognize over 60 categories and 1500 scenarios. The front side is taken care of 25MP camera for selfies and video calls. While some may say megapixels don’t matter anymore, the case of Honor View20 here contradicts it. The combination of Pixel binning technology and AI makes this 48MP camera an addictive one. This tempting 48MP produces sharp images, and the natural colour management is on point. The View20 has the ability to shoot RAW files in Pro manual mode. You can zoom right in without losing much quality too. The more you know about the camera, more you can play around it. 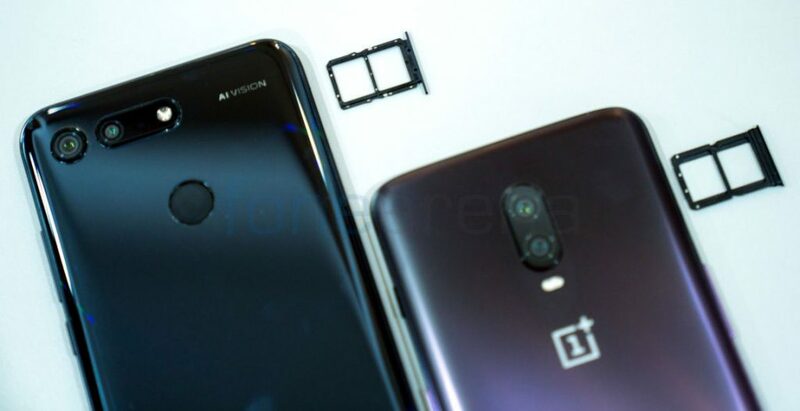 The OnePlus 6T comes with the same camera setup as OnePlus 6. Talking about the specification, the device sports a 16MP primary rear camera and a 20MP secondary camera with f/1.7 aperture. The front side of the device is taken care of the 16-megapixel camera with Sony IMX371 sensor. Talking about the camera performance, the OnePlus 6T captures good photos under daylight condition with very good details, colour and vibrancy. Moreover, the images taken in HDR mode are better with improved contrast and saturation. Coming to slow-mo, Honor View20 supports 960fps, while the OnePlus 6T comes just with 240fps. Both the device comes with capable camera setups, but when it comes to features and possibilities, its Honor View20 that triumphs! The Honor View20 uses the latest Kirin 980 7nm processor with GPU Turbo 2.0, NINE liquid cooling with either 6GB or 8GB of RAM and has 128GB or 256GB of internal storage space. The View20 will perform like a flagship and have dual NPUs helping it in AI and so on. 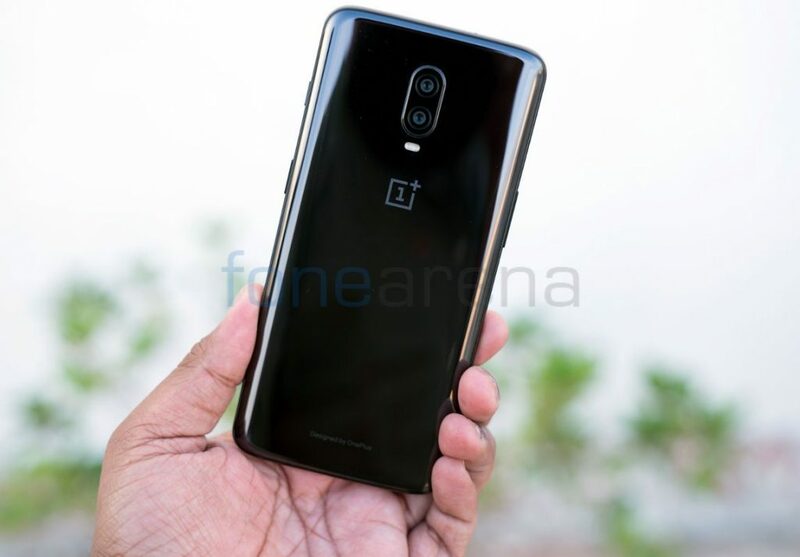 The OnePlus 6T is powered by Octa-Core Snapdragon 845 64-bit 10nm Mobile Platform clocked at 2.8GHz within AIE and Adreno 630 taking care of the graphics department. 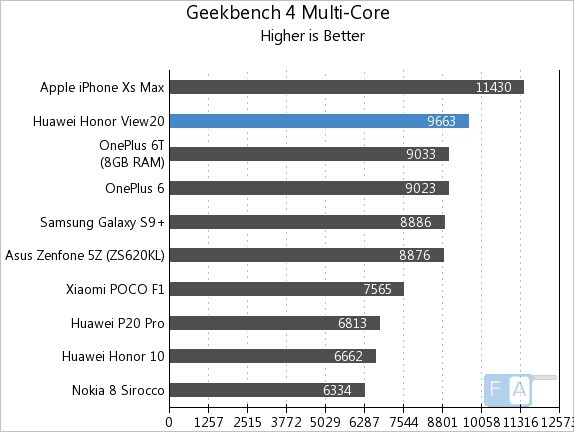 In this case, the performance of both the devices is just excellent, and the gaming performance is good as well. On top, both phones support a gaming mode that eliminates distracting notifications and boosts gaming performance. The View 20 packs a 4000mAh battery with support for fast charging that promises the entire day’s charge with just 30 minutes of charge. The OnePlus 6T is powered by a 3700mAh battery with Dash Charging technology. The 4000mAh battery on the Honor View20 took about one and half hours to charge from 0 to 100% using the bundled 4.5V/5A charger, while the slightly smaller 3700mAh battery took the same amount of time to charge using the 5V-4A charger. In our One Charge rating, Honor View20 achieved 19 hours and 36 minutes, while the OnePlus 6T’s comes around 18 hours and 49 minutes. 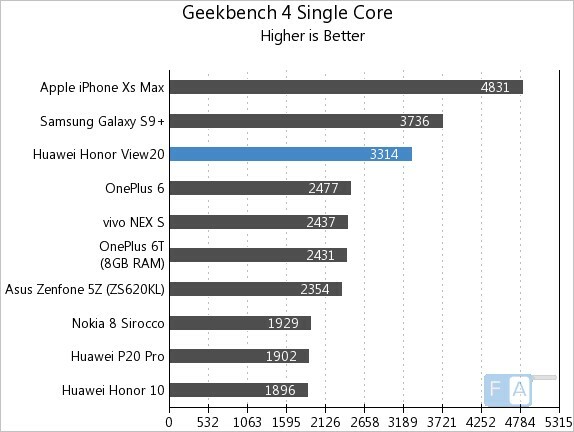 Thanks to the power-efficient 7nm Kirin 980 and Honor’s optimization, the View 20 is a clear winner. The Honor View20 offers more value for money and has some really special features in its plate. Plus, the smartphone looks more 2019ish in and out and fundamentally changes how we view a 48MP camera phones in this category, thereby setting a new standard for affordable flagships. Having said that, OnePlus 6T is a well-spec’d mobile as well, but when it comes to features, Honor View20 adopts an aggressive stance here. If our guess turns out to be right, OnePlus must be scratching their heads on how to come up with an answer to Honor View20! 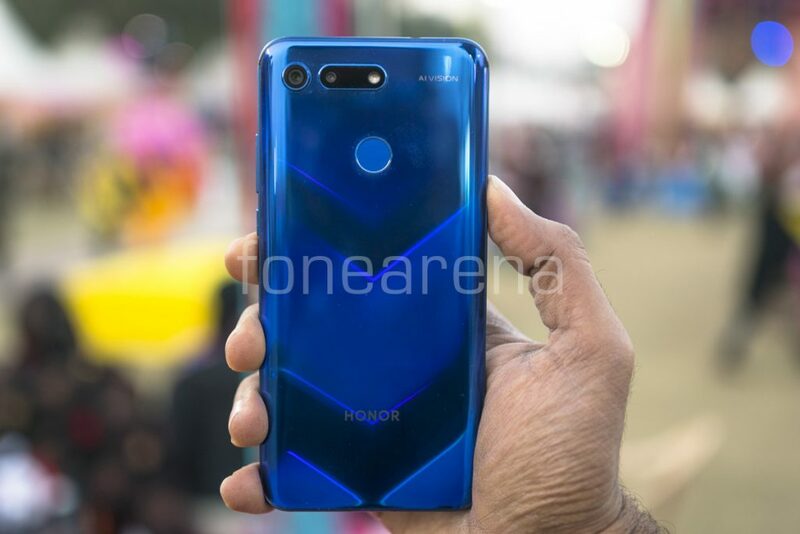 The Honor View20 6+128GB is priced at Rs. 37999 (Sapphire Blue and Midnight Black) and the 8+256GB versions costs Rs. 45999 (Phantom Blue). It is available exclusively from Amazon.in and Honor India website. It will be available offline through Reliance Digital starting from February.